The high-voltage and very-high-voltage NTG that exists in Italy represents the main infrastructure capital owned by the Terna Group. As previously noted in the significant events for the financial year, in December 2015, Terna acquired the electricity grids owned by Ferrovie dello Stato, adding 8,682 km of three-phase power lines (equivalent to 8,379 km of power lines) and 350 electrical substations to its own grid. In this way, the total electricity lines owned and managed by Terna total 72,600 km, increasing by approximately 13% compared to the previous year. The number of plants belonging to the Terna Group at 31 December 2015, compared to the situation at 31 December 2014, is shown in the following table. The Group’s financial policy is distinguished by its diversification of financing sources, the balance between short and medium-long term instruments to cover loans, and the proactive management of debt. At 31 December 2015, gross debt totalled approximately € 9 billion, of which € 6.4 billion was made up by bonds and € 2.6 billion by bank loans. The average debt maturity is around 5 and a half years; the proportion of net debt at fixed and variable rate to the total amounts to 57% and 43% respectively. Details of Terna’s financial capital is outlined in the Chapter “Economic-financial Performance”. The Group has always undertaken interventions to rationalise, reorganise and render corporate processes more efficient, from a perspective of cost balancing between the professional and demographic composition of the work force, and acquiring new skills at a lower unit cost. With consolidated expertise in this area, during 2015, the Company was committed to the generational turnover program that it had announced in the context of the 2015–2019 Strategic Plan. increasing the education rate by 8%, bringing the population of graduates and diploma holders in the Company to 79%. The Terna’s human capital is outlined in the Chapter “Organisation, business and capitals”. In all the core activities inherent to the transmission grid, Terna has always pursued the highest standards, starting from the design through to the management and maintenance of assets, and without compromising on the objectives of ongoing improvements in the areas of technologies and materials. Over the years, the highest quality standards have always been guaranteed thanks to applied research, interaction with suppliers, operational experience, and the assessments made by international benchmarks. With time, this approach evolved into a consistent application of criteria as well as stable and unified projects. More recently however, the natural and consolidated approach to research and the development of best practices has been overtaken by the need to find optimal solutions and guide the capacity to innovation towards carefully adapting to the requirements progressively imposed by the environment and surrounding world. Terna has been instrumental in the energy transition that is shaping the entire sector. It therefore intends providing an effective contribution to finding ’sustainable’ solutions, also within the context of eco- compatibility and mindful of climate change. Attention and effort will consequently focus both on core activities, which are now faced with new prospects and a different approach, as well as on decidedly innovative sectors. This new approach will open up new fronts for development and collaboration, which are materialising in the creation of dynamic interaction with the universities and research centres. These will ensure a fresh view and impetus to research and innovation on the one hand, whilst creating the conditions for guiding young talent towards professions that are important for the employment sector. Research and development is undertaken organically and systematically, taking advantage of the excellent in-house competencies, and seeking leverage from the technical know-how and capacity to also develop opportunities beyond the regulated framework. Building a relationship based on mutual trust with our stakeholders begins with taking their interests into account and analysing their compatibility with those of the Company, in order to be able to adopt a consistent and transparent approach. The stakeholder map for the Terna Group was revised in 2014. The current map is divided into 12 categories and 73 subcategories. 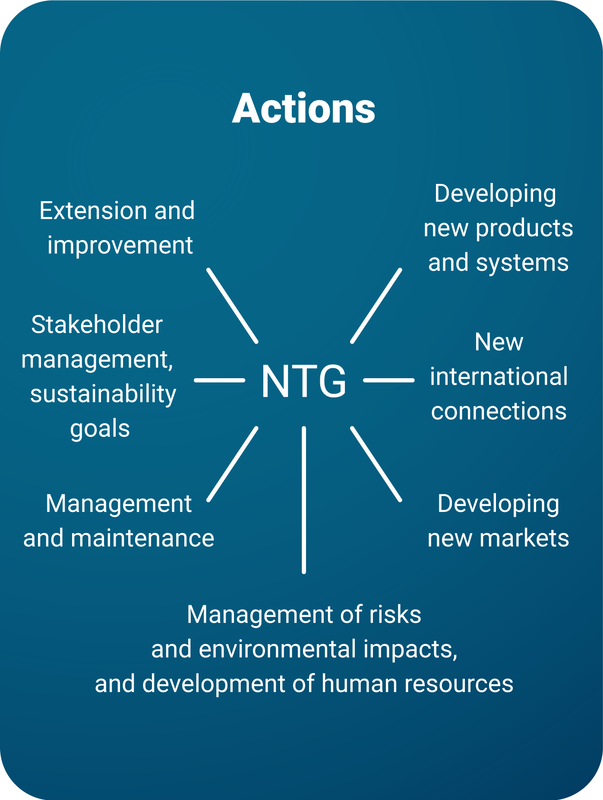 Following the latest revision that was completed in February 2015, Terna drew up a “Stakeholders management model”, which is described in the relevant Guidelines adopted in October. The method used to formulate the model is based on the AA1000 Stakeholders Engagement Standard (SES) developed by AccountAbility. The Guidelines set out the model, which defines Terna’s relations with its stakeholders, supporting the Company in building correct relations based on mutual trust, which is closely linked with the Company’s success and ability to generate value for all its stakeholders. The 2016–2017 Plan of Engagement was drawn up and approved at the end of 2015. This outlines certain priorities, while taking into consideration the impact that relations with specific stakeholders has in the implementation of the Strategic Plan. For further information, reference is made to the chapter “Relations with stakeholders” and the 2015 Sustainability Report. One of the elements that make up natural capital, and which Terna uses directly in order to implement its business is the availability of land. Given the restrictions that apply to erecting electricity infrastructure in residential areas, the land occupied by substations and the base of pylons is often on rural and agricultural land, and sometimes falls under protected areas, the existence of infrastructure could require interventions that mitigate the risk of potential impacts (albeit contained) on biodiversity (avifauna). In a broader sense,it could be complicit in the enjoyment of the natural environment due to the impact that infrastructure has on the landscape. Terna’s production cycle does not directly utilize biological or mineral raw materials or water, and excludes the production of electricity, consequently limiting the quantity of greenhouse gases emitted.